Forget what they say that this or that is the new black. BLACK is BLACK. And BLACK is back in both basic and flat. 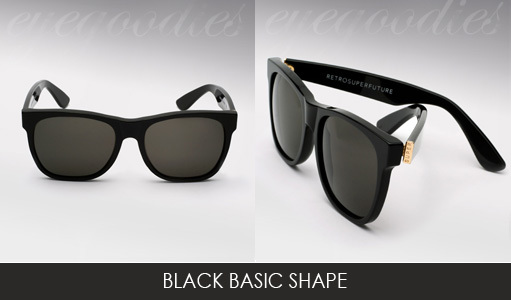 We finally got our major restock in the Classic black basic shape and the Flat Top black sunglasses from Retro Super Future. All the pre-orders went out and we have some nice stock left, but who knows for how long. 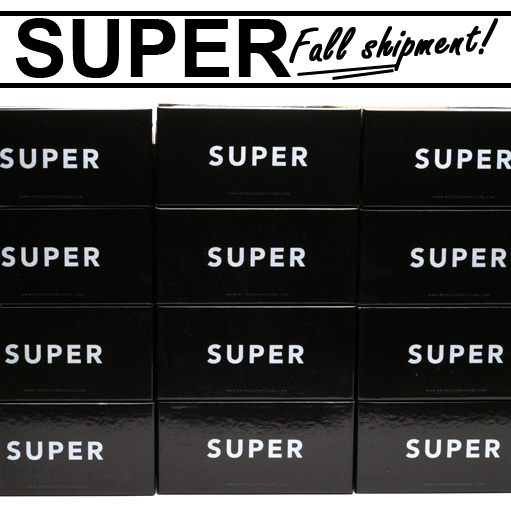 Supplies are limited as even Super is sold out again. So get them while you can. The instant classic Super Flat Top sunglasses in black. RESTOCKED! 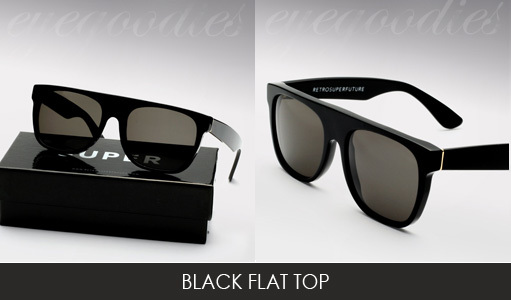 Classic Black Basic Shape Wayfarer by Retro super Future. RESTOCKED! checkout the full roundup on new FALL ’09 SUPER SHIPMENT . 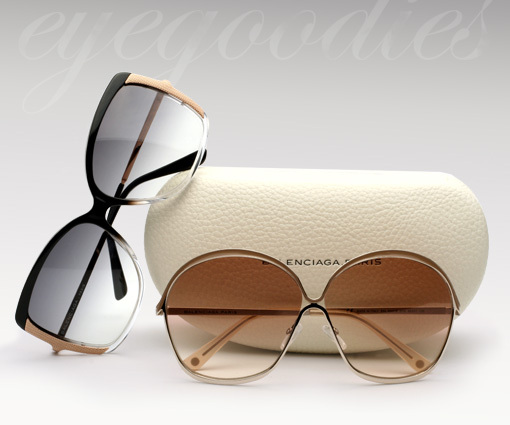 The Balenciaga 0035/S and 0047/S are two great new additions to the Balenciaga 2009 sunglass collection. These vintage inspired frames have that glamorous style epitomizing high fashion at its finest. After much anticipation The New Retro Super Future ( Super Sunglasses ) FW2009 shipment has just arrived! Unpacking and seeing a seemingly endless mountain of Super boxes we just couldn’t wait to dig in and check out the new Fall/Winter collection. Thought it only fitting we make it our first image. There are lots of new colors, a little more toned down than previous seasons, and a couple hot new shapes. So without further delay here’s the full break down. 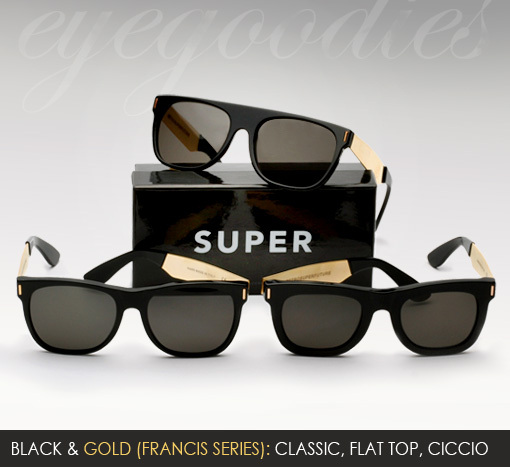 The Francis series comprised of the Flat Top, Basic and Ciccio is tight. Classic black frames with (a dash of flash) gold temples. Whether you dress them up or just throw on a crispy tee and kicks , the Super Black and Golds will take care of the rest. What more can we say the pics speak for themselves.